I hope your training is going well this week, and you are getting ready for a fantastic Halloween. I am still riding the waves of momentum from this past Saturday’s Grip Training. My hands are feeling great and after the high volume on Saturday, I know I am just a few sets away from a gigantic PR! If you want to reathe workout report from this weekend, check out my blog: Napalm Jedd’s Blog. 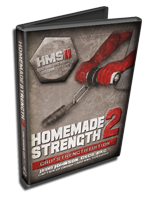 For the last few weeks, I have been posting about a new project Joe Hashey and I have been working on called Home Made Strength. If you’ve read Joe Hashey’s site, you know that he has been building his own equipment for years and has been using it in his training and when working with his athletes in his garage gym. I want to CHANGE stuff up today! I’m going to throw out a post that’s a little bit different from what you’re used to at Diesel and then I want your opinion on the subject by leaving a comment below. 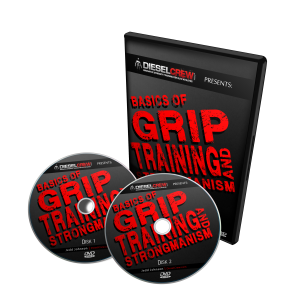 Here at Diesel, you’ve seen tons of stuff on feats of grip strength. We’ve discussed MMA training and fighting, and building strong muscle. Today, I would like to write about something a little different and then put out some questions to you and I’d like to see what you all think.